The Friends of the Thunder Bay Public Library invite applications for new volunteers to assist with their many activities. 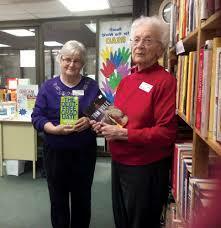 Their organization is a non-profit association of public service-minded volunteers who are dedicated to promoting and supporting library service in Thunder Bay. They are celebrating 30 years of service in 2017. And various Committee’s member positions. Please ensure to fill and submit the form below; “Click to Volunteer”.